Installing an enclosed garage is an inexpensive and effective way to protect your valuable property from the harsh Texas elements and provide security for your belongings. Although the basic structure or detached garages is the same, including four walls, a roof, and a garage door, there are some attractive options that vary when you custom build your own. The distinguishable feature of any garage is the main door. Garage doors can be as small as six feet by six feet, which is ideal for smaller storage structures or accent doors on a larger building. 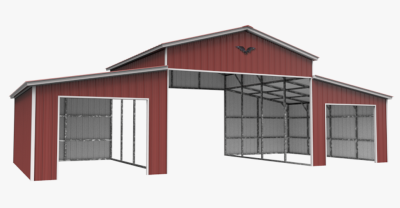 The main door can be as large as 14 feet by 14 feet, which is ideal for large farm equipment or trucks. For reference, a standard residential double car garage door is 14 feet by seven feet. Detached garages can have several doors, depending on your needs. 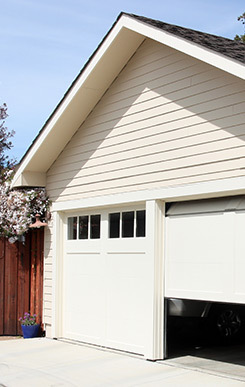 Another feature of a custom garage is the doors’ location.The doors can be located on the front, side, or both. Multiple side-by-side doors can accommodate several vehicles. Other door options include a walk-in door, which is just like a residential home’s door, for easy walk-in access. The roof is what provides the most protection to what is stored inside your custom detached garage. A standard style garage roof has rounded corners with horizontal panels that connect with the side walls. The standard style is the most economical option. The boxed eave style is an A-frame design with horizontal panels. It is the box eave style that makes the garage look more like a house. The vertical style is very similar to the box eave style, as it is also A-framed. The difference between the boxed eave and the vertical is that on the vertical style, the panels are vertical instead of horizontal, allowing snow and rain to easily run off. The vertical style is the best quality and ideal for any environment that faces adverse weather regularly. Steel is the heaviest and most durable material used to make detached garages. It offers maximum protection for what is stored inside and is able to stand the test of time. Additionally, it is the material of choice for homes in locations that face extreme weather. Wood is heavy and strong, and the most natural of all the building materials. Wood may be used in the construction of garage frames but must be re-enforced with other materials. If wooden supports are used, it is recommended to protect it from rot and decay, as well as pour a foundation to secure it into. 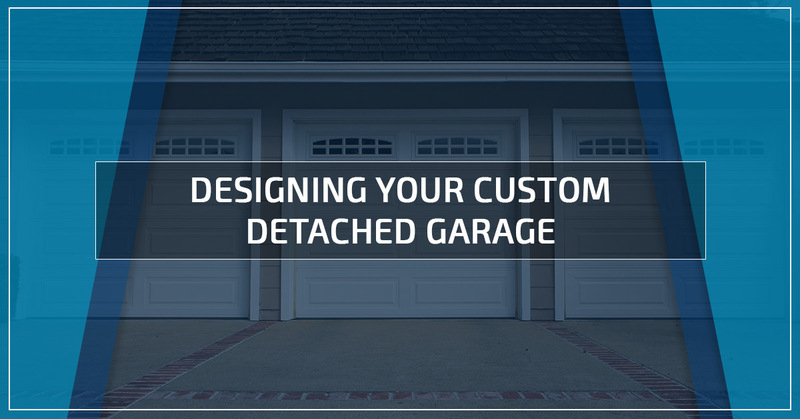 Other options when designing your custom detached garage include color, size, shape, and the addition of windows. 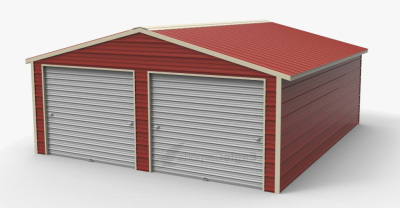 It is a good idea to decide what the intended use of your detached garage is, where it will sit, and your budget before beginning your search for the perfect metal building. 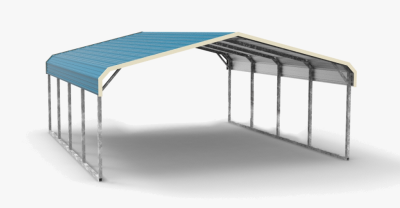 Here at Wholesale Direct Carports of Texas, all things metal buildings is our expertise. We specialize in creating customized metal buildings to meet all your needs. The butter to our bread is our custom detached garages. We can guide you through all the options and affordably meet your needs. As always, we offer free delivery and installation with your purchase. Call us for your free quote today!